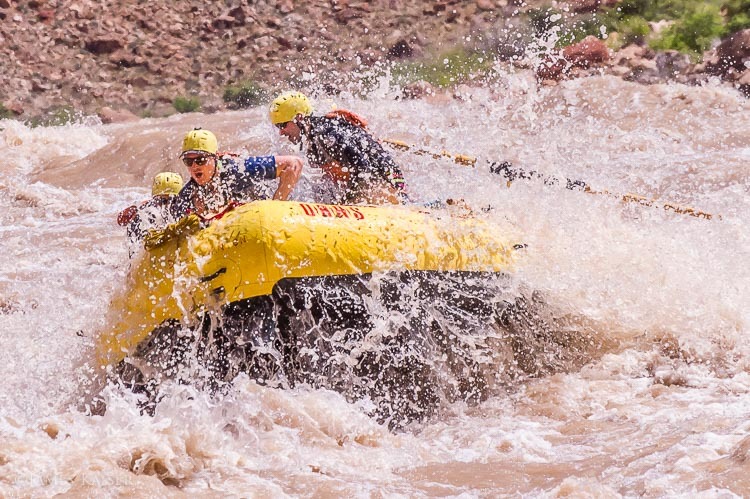 In June 2015 I photographed a whitewater rafting trip for OARS in Cataract Canyon, Utah. 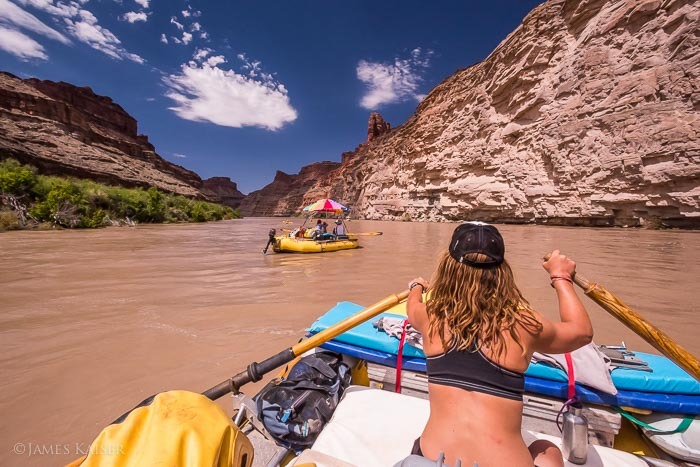 Located deep in the heart of Canyonlands National Park, Cataract Canyon shows off some of the most beautiful scenery in Utah — and some of the most thrilling whitewater in North America. Most western rivers have been tamed by dams, but the Colorado flows free in Cataract Canyon, causes the river to fluctuate wildly. Thanks to a series of late spring thunderstorms in 2015, the Colorado in Cataract Canyon peaked around 40,000 cfs (cubic feet per second). To put that in perspective, the Colorado in Grand Canyon generally flows at less than 15,000 cfs. By the time we set out, big whitewater was waiting downstream. Our trip had two rafts, rowed by noble boatwomen Joy and Emily. And one dory, captained by brave Peter. 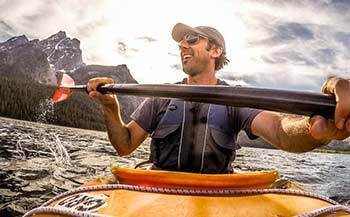 For the first two days we drifted through flatwater. And made the most of it. We hiked to viewpoints above the river. On day two we camped at Ledges Campground. While we set up our tents, our trusty guides cooked a tasty meal. There was a grotto behind the campground where you could touch the sky. And a cave where time stood still. Final stretch of flatwater as we head downstream. On night three we camped at Brown Betty Beach — the most stunning bocce court you’ve never heard of. 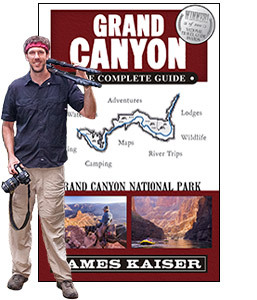 The next day we took a break from the river and hiked to the rim of the canyon. High above Cataract Canyon lies the Dollhouse, an otherworldly collection of towering rock spires. Narrow slot canyons slice through the rocks. Sunset lights up the canyon walls. Not the angle you want. I repeat, this is NOT the angle you want! But of course brave Peter recovers. Joy hip checks the Colorado. The things you learn on a river trip. In Australia “Banana Hammocks” are called “Budgy Smugglers.” Budgies are a type of parakeet, and, well, you get the picture. We ran the rapids with an Australian bachelor party, every member of which proudly wore a colorful Budgy Smuggler. That, my friends, is double diamond rafting. Want to see more great photos? Follow me!